Special to The Sun: Volunteers of the Mt. Laurel Library who the library honored with a ‘murder mystery’ luncheon. The Mt. 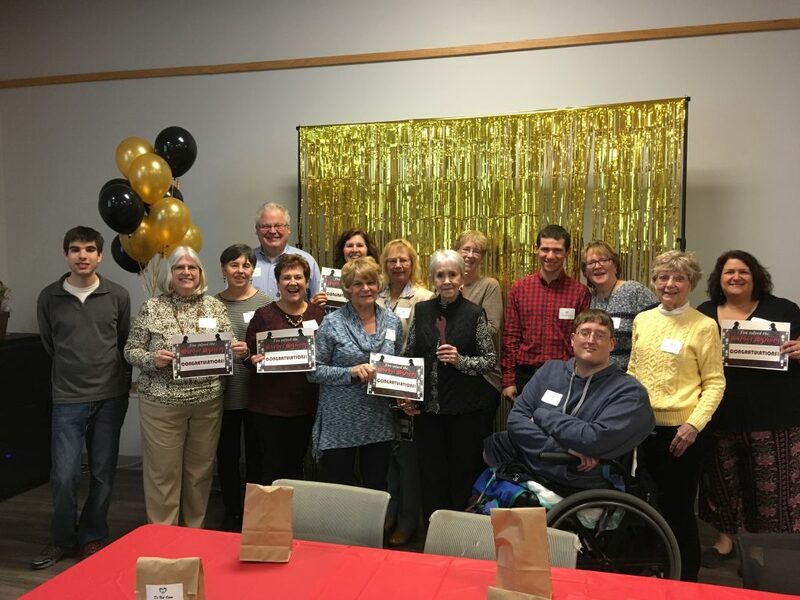 Laurel Library recently held an appreciation luncheon for its volunteers, the Friends of Mt. Laurel Library and its trustees. Those with The Friends said the afternoon was filed with excitement, since each attendee became part of a murder mystery event. Those with The Friends say the event was a great way for the library to show its appreciation for the work of its volunteers. In addition, those with The Friends note that the Mt. Laurel Library and the Friends of the Mt Laurel Library are continuously looking for additional volunteers to assist with the library’s functions and money raising events. To learn more about the library, visit www.mountlaurellibrary.org. To learn about The Friends of the Mt. Laurel Library, visit http://www.mtlaurel.lib.nj.us/friends.